Never Enough Nails: SinfulColors Holiday Continues to Surprise Me! Today I have the last two polishes in the SinfulColors Wish Collection, and I must say I am impressed. Neither of these colors really grabbed my attention in the bottle, but on the nail, it's a different story. 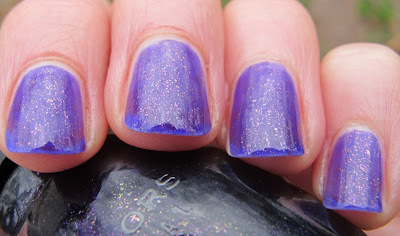 SinfulColors Daddy's Girl looked like a pretty vampy purple with pink/iridescent glitter. Pretty, but something I already own. 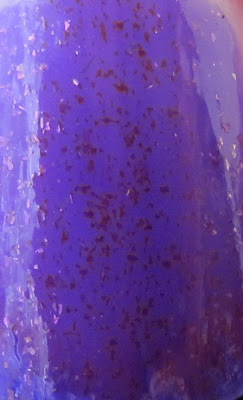 On my nail however, it's a lighter purple jelly with pink/iridescent glitter!! I was so not expecting this and I love it! 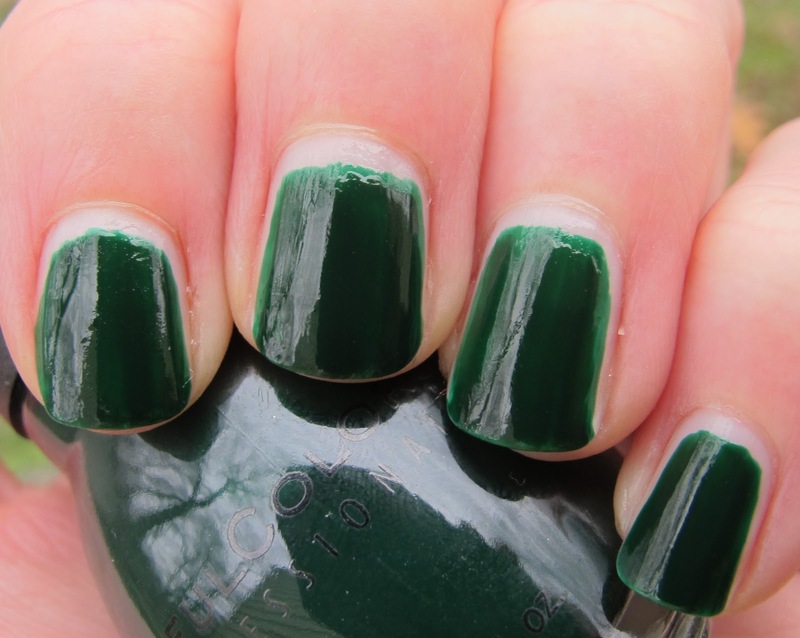 This is three coats of Daddy's Girl and there is still VNL, but I think it's part of the look of the polish. This particular shade of purple is magical, it reminds me of unicorns and winged ponies LOL. I think you could do a nice jelly sandwich with this polish too! It was pretty sheer at one coat, so it should make good "bread" for your sandwiches. The formula was nice and smooth and not streaky. I love a good surprise like this! The polish on my nails is so unique, just ignore how it looks in the bottle! Last Chance is another winner for the SinfulColors Holiday collection. 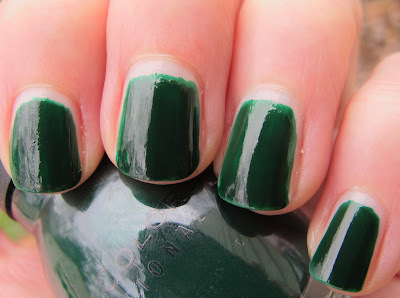 Last Chance is a deliciously dark green with a squishy texture. Not quite a jelly, but squishier than a creme finish. 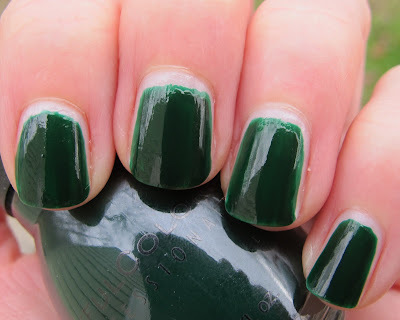 Last Chance is a perfect holiday green and a great base for nail art using either SinfulColors Fashionista or Flower Girl. The formula on this polish was great again. This is two coats and it's perfectly opaque. I continue to be impressed with SinfulColors' formula! Overall, the SinfulColors Wish collection is full of winners. My top picks would be Midnight Blue, Daddy's Girl, Sugar, Sugar, and Flower Girl nail art polish. Any of these polishes would make fabulous stocking stuffers for your friends or family. Or, you could just stuff your own stocking!! Beautiful colors. WOW! do i envy. Keeping my eye out for them ! They are so gorgeous! Selene and Theia- I believe both of these colors are available in the SinfulColors permanent range, so keep your eye out wherever they are sold near you!